Johnson & Johnson is aiming to limit damage caused by a safety alert to diabetes drug Invokana by applying for a new US label update showing it can reduce cardiac events. The CANVAS was required by the FDA to show Invokana’s cardiac safety, in line with guidance applying to all diabetes drugs. The trial results published in June showed Invokana (canagliflozin) reduced risk of major adverse cardiovascular events such as heart attacks and strokes in high risk adults compared with placebo. Unfortunately the data also contained a bad surprise: Invokana almost doubled the risk of lower limb amputations, mainly removal of the toe or foot, but also the leg below the knee. 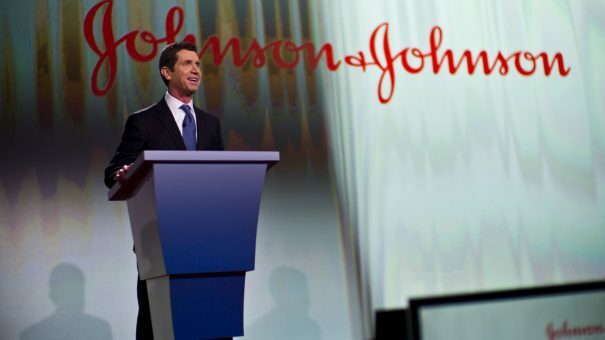 J&J had to include the FDA’s most serious “black box” safety alert on Invokana’s label as soon as the amputation risk data emerged earlier this year. Invokana’s US sales were sharply down in the second quarter when the black box warning was added to the label, falling 26% compared with the last year’s Q2 to $256 million. Despite, this J&J think they can salvage sales if they can get the updated FDA label. CANVAS showed a 14% reduction in a composite of cardiovascular death, non-fatal heart attack, or non-fatal stroke, an almost identical benefit to that seen in Jardiance, a key rival. Lilly and Boehringer Ingelheim’s SGLT-2 drug Jardiance (empagliflozin) was the first medicine to show a dual benefit of improving glycaemic control in type 2 diabetes and cardiac protection. Since then Novo Nordisk’s GLP-1 drug Victoza (liraglutide) has also been shown to protect the heart in diabetes patients, as well as its potential successor, semaglutide.